The pedestrianised promenade of Elizabeth Quay is jam-packed with great bars and restaurants, gelato cafés and quirky outdoor sculptures – it’s Western Australia’s answer to Sydney Harbour. There’s a buzzing festival scene here too, and outdoor markets at the weekend. Grab an ice cream and wander the Swan River-side walking trail that circles the quay: it loops over to Heirisson Island (home to a kangaroo sanctuary), via peaceful parks and the striking suspension bridge – with great views of the city skyline at every turn. Perth is a bright, modern metropolis, but its roots are intertwined with Aboriginal history. 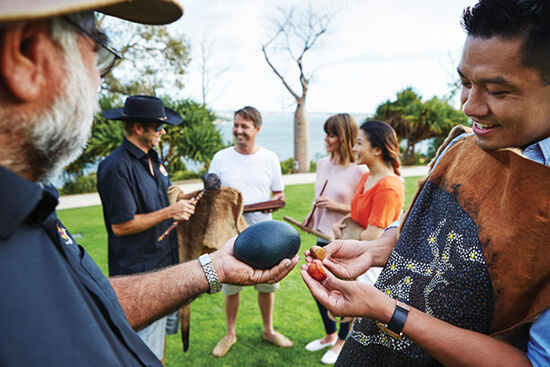 Indigenous Heritage Tours will introduce you to WA’s indigenous culture, with a fascinating trip around Kings Park in the company of Aboriginal guide Greg Nannup. He’ll show you the plants used for bush food and medicine, reveal how local people have thrived in the wild for centuries, and even tell you the ancient Dreamstime story, bringing Western Australia’s Aboriginal history to life. When Perth basks in sunshine (which, as we mentioned, it does for most of the year), there’s a mass exodus from the city straight to the beach – Cottesloe Beach, to be precise. A 15-minute car journey or 30-minute bus ride from the city centre, ‘Cott’ is Perth’s playground. Here you can swim, surf and snorkel in gin-clear waters. Come nightfall, take your pick from the bars and restaurants along Marine Parade, which bask in superlative sunsets on every evening of the year. 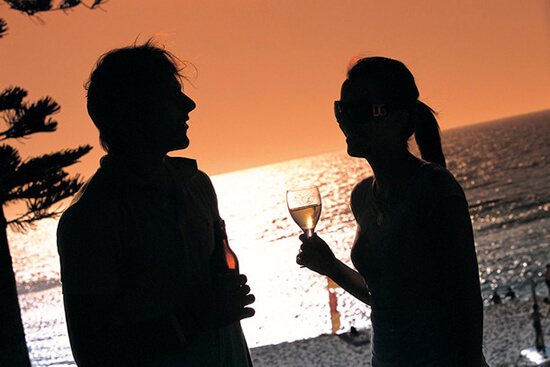 It’s a great spot for a glass of fine Western Australian wine, while the sun dips beneath the Indian Ocean horizon. Perth has a ferocious appetite for art and culture – and it does a fine job of attracting big-name artists from Australia and further afield. 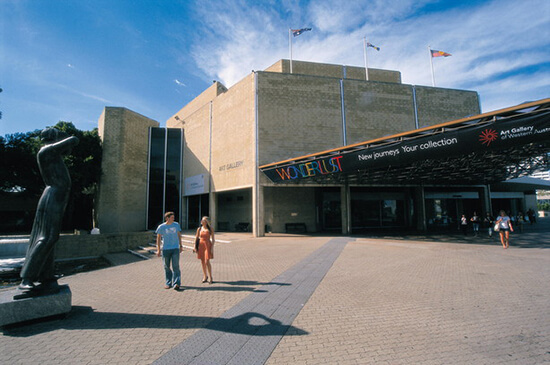 Don’t leave town without immersing yourself in the Art Gallery of Western Australia, which has a world-renowned collection of Aboriginal pieces, plus some excellent classics, too. For more modern works, there’s the Perth Institute of Contemporary Art, while Gallows Gallery showcases up-and-coming names. Its exhibits change regularly, and there’s often the opportunity to snap up work by emerging local talents. 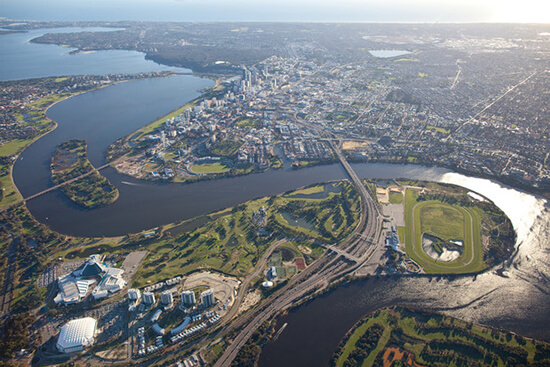 The Swan River – or Derbarl Yerrigan, as it’s known in Aboriginal Noongar – runs through the centre of Perth and out into the Indian Ocean, flanked by parks and wildlife reserves on both of its banks. It’s a haven for Perth’s outdoorsy types (of which there are many), who ply the Swan on kayaks, stand-up paddleboards (SUP), and sailboats. To see the city’s wild side, venture out early in the morning for a spot of SUP (you can rent boards from numerous operators along the river). Gliding on the glass-smooth waters, with only waterfowl and the splash of your paddle for company, is an idyllic – and invigorating – start to the day. Many of Perth’s most successful art, craft and food businesses started as fledgling stallholders in its marketplaces, and they’re still hotspots for the city’s artisans today. 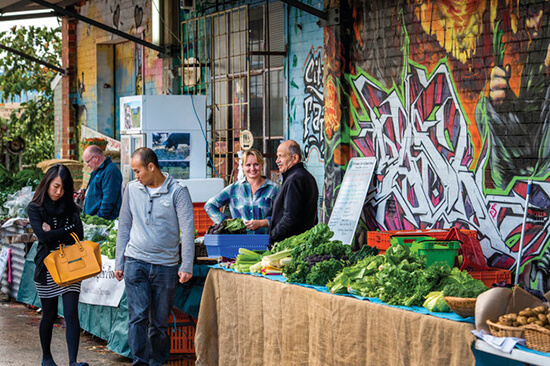 Head to Perth City Farmers' Market (Saturdays) for top-notch pies and posh coffee, or Beaufort Street Art Market (first Sunday of every month) to meet local artists exhibiting their work. On occasional Sundays, you’ll find hand-made treasures at Perth Upmarket, while Canning Vale market (every Sunday) is brimming with antiques, vintage curiosities and quirky street food stalls. Thought Perth was Australia’s shy, retiring city? Er, no! While it is certainly the country’s most remote metropolis (it’s over 1,200 miles from Adelaide, the nearest state capital), Perth certainly knows how to party – with a laid-back, Shoreditch-style vibe. It’s big into rooftop bars, which is great news for those who love sunset views with their cocktails. Head to The Aviary for the city’s biggest rooftop terrace, complete with trees, private pergolas and day beds. 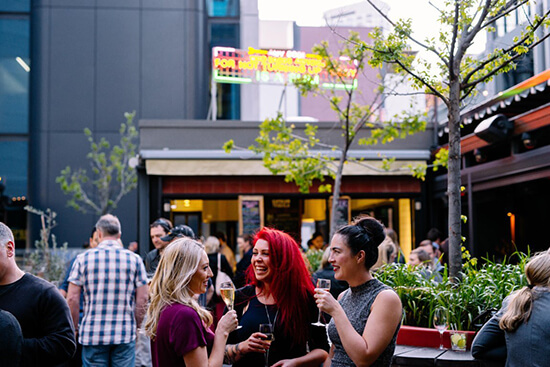 The Subiaco Hotel also has sterling city vistas, while Bob’s Bar – on the rooftop of Print Hall – serves up craft beers and cider with burgers, hot wings and slow-cooked brisket to boot.